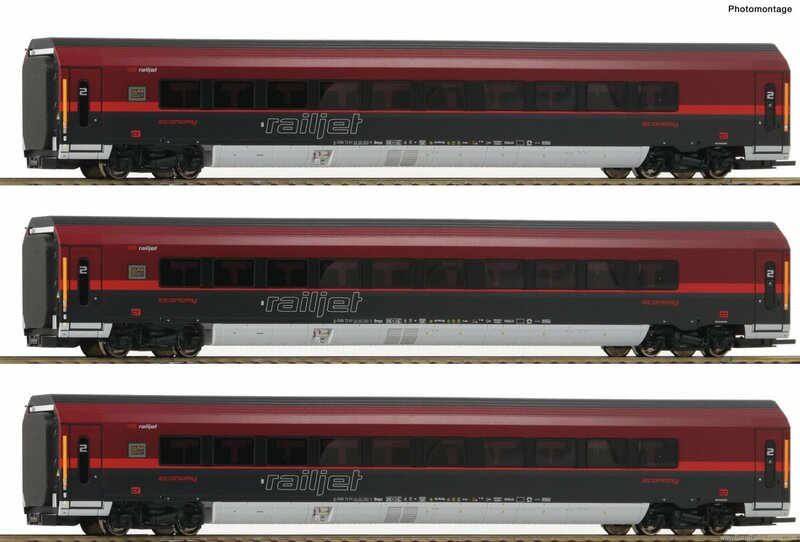 3 piece set: “Railjet” with license to haul trains in italy of the Austrian Federal Railways . Epoch VI. Interior design imitation depending on the classification of each coach. Elaborately designed coach transisitions. Shape variant with new window division of the driving trailer, interior furnishing true to the original model and bicycle compartment. Please note: the interior lighting can only be used in conjunction with the supplementary set 64189.